Our focus is set on maintaining a welcoming environment and a sustainable workout routine for all-comers and all abilities. Whichever fitness level you find yourself at, we offer a range of modifications and challenges. So whether you're looking to get active or eager to push yourself with strengthening and lengthening your muscles, all of our sessions can help you achieve truly transformative results! Workouts are 60 minutes or less, full-body, and low-to-no impact. Press and plank your way to a stronger body with our popular ROKbarre classes. Our instructors will guide you step-by-step to ensure a rewarding and fun, full-body workout that will leave you with long, lean muscles. These empowering workouts are formed with modifications and challenges that will leave you invigorated. 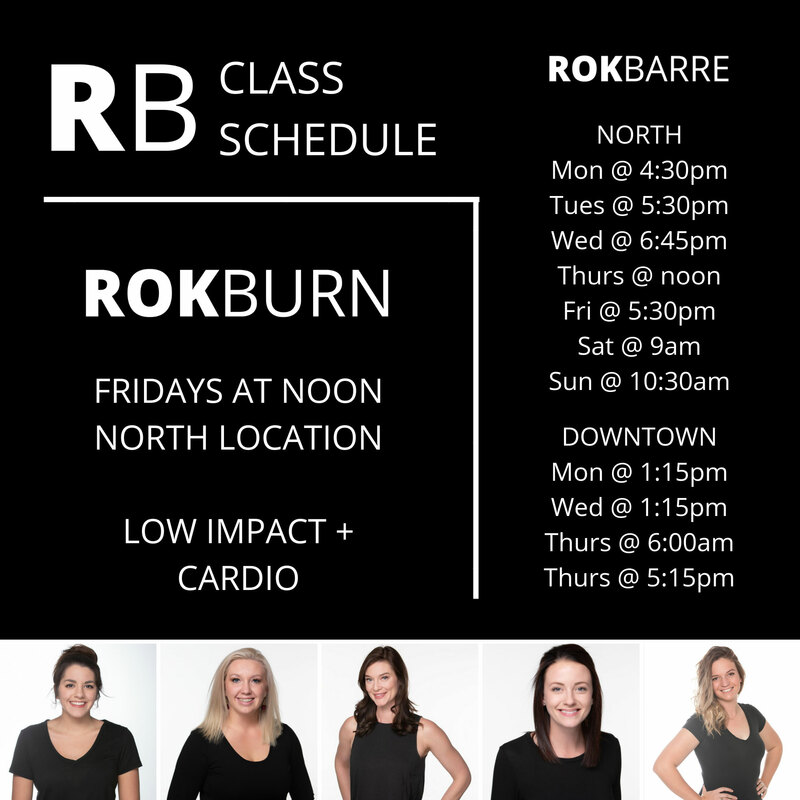 ROKburn is a high-energy class that uses low-impact circuit exercises to elevate the heart rate over a sustained amount of time, creating more sweat than ROKbarre classic. Workouts should be challenging, but remembering your gear for class shouldn’t be. Bring your water bottle and we’ve got the rest covered! Rb classes are included with your Crossroads Fitness membership. Click here to visit our sign-up page. Not sure if these classes are right for you?